Jill has run a successful private practice in central London for 25 years. She is an experienced practitioner who believes that a thorough assessment, followed by manual therapy treatment and a home exercise plan, will reduce pain and shorten recovery times. Jill enjoys working with patients of any age and fitness level, helping them to achieve their goals by encouraging and guiding them through rehabilitation post injuries and surgery. 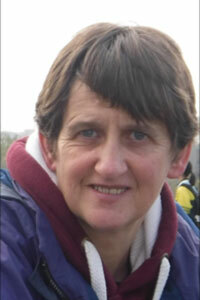 Jill is a chartered and state registered physiotherapist. She qualified at the Middlesex Hospital school of physiotherapy, in central London. She is a member of the Health Professional council. Jill is one of the most experienced female sports physios in the UK. She has been lead physio for both the highly successful senior England women's Rugby and Football squads, attending World Cup and European championship finals and has worked in professional football at Millwall and Fulham Football clubs. In addition she has worked at Lawn Tennis Assoc. tournaments, ultimate frisbee competitions, rehabilitated UCL's elite athletes and now provides the Football Association with cover for disability squads including deaf, blind, partially sighted, cerebral palsy and learning difficulties. Jill gained experience working for the NHS in hospitals and GP practices in central London, private hospitals and local sports clubs. She works with several NHS and Private orthopaedic surgeons locally. She currently combines sports team cover, with community work and running a successful private clinic, that she is delighted to be moving to the excellent location of 96 Harley St.